What if Simba HAD told Timon and Pumba about his past? The most likely scene would be when they were talking about the Great Kings of the past. What if Simba had actually confided in them at that point that he was the son of King Mufasa and had accidentally caused a stampede that resulted in Mufasa's death? Re: What if Simba HAD told Timon and Pumba about his past? I don't think Timon and Pumbaa would leave Simba for that. I guess they would try to convince him about that it was not his fault. I think Timon and Pumbaa would have tried to cheer him up and tell him to use "Hakuna Matata" to forget his troubles. This is the kind of situation that Timon would force a 'don't tell us about your problems' sort of deal while invoking Hakuna Matata. Remember the part where his reaction was "Good, we don't wanna hear hear about it!" from the movie? I suspect that a large part of Hakuna Matata, with it being "no worries" and all, is that you have to avoid all unpleasantness as much as you can, even if you have to force yourself to keep running from it if it's the last thing you can do. Why do you think Simba was so unprepared to handle the past coming up when Nala and Rafiki found him? I can see Pumbaa being willing, but unable to offer any good and genuine advice to Simba, while Timon would win every single time with 'instead of talking about your past, how about some shinies to distract you with!" 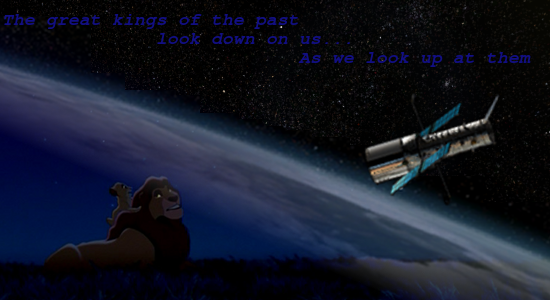 DGFone wrote: Why do you think Simba was so unprepared to handle the past coming up when Nala and Rafiki found him? Good point, although I think forgetting his past was a process. I can imagine Simba as cub crying all night at first, but soon the new environment, his new family (Timon and Pumbaa) help him to fade his memories. Insomuch as he can't even remember that the story about the Great Kings came from his father! (The scene when they are stargazing). Simba_Lion wrote: Good point, although I think forgetting his past was a process. I can imagine Simba as cub crying all night at first, but soon the new environment, his new family (Timon and Pumbaa) help him to fade his memories. Insomuch as he can't even remember that the story about the Great Kings came from his father! (The scene when they are stargazing). Simba crying himself to sleep at night at first is very plausable. (Him telling Timon about having a bad dream in Lion King 1 1/2 is proof of his troubles early on). However i am sure Simba never forgot that his Father told him about The Great Kings, becaus after Timon and Pumbaa laugh at the idea of The Great Kings. Simba goes off by himself he was clearly hurt. 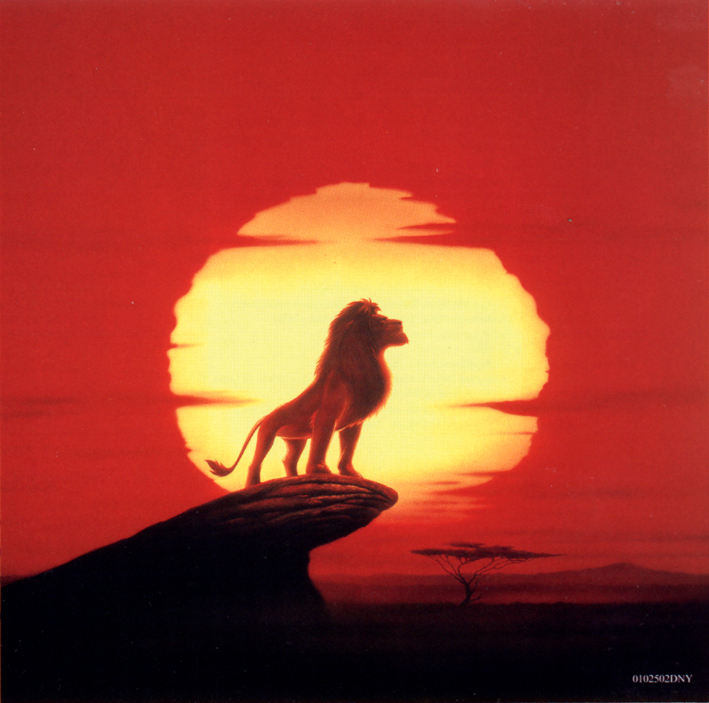 SimbasGuard wrote: However i am sure Simba never forgot that his Father told him about The Great Kings, becaus after Timon and Pumbaa laugh at the idea of The Great Kings. Simba goes off by himself he was clearly hurt. Yes, after he realizes that the wisdom came from his father. But before realizing he couldn't remember that, he said "Well, somebody once told me..." and he was laughing as well. Then the memory suddenly came back.